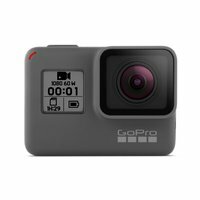 Compact and durable, the GoPro Hero lets you capture memorable moments from different perspectives and in various environments, hassle-free. Video can be captured in 1440p or 1080p HD in both 30 and 60 fps. Alternatively, you can also capture 10-megapixel still photos to complement your videos. Capturing photos and videos is easy, as the HERO can be controlled by your voice using simple, spoken commands. If you want to delve further into the camera settings, the rear 2" touchscreen LCD is fast and intuitive. Also, it lets you frame your shots quickly and accurately. Quickly switch between modes, frame the perfect shot and check out your footage on the 2-inch touch screen. Tough and waterproof rubberized body. Take your adventures to 33' depths underwater. Control your HERO hands-free with simple voice commands like "GoPro, start recording" and "GoPro, take a photo." Connect to the GoPro app to control your camera remotely, check out your shots and share your favorites on the spot. Integrates with the free GoPro smartphone app for sharing your moments as they happen. 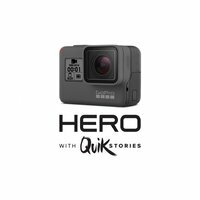 With GoPro QuikStories, the HERO automatically sends your footage to the GoPro app where it transforms into a fully edited video with music and effects. With a GoPro Plus subscription, you can automatically back up unlimited photos and up to 35 hours of video to the cloud. With built-in electronic stabilization HERO records smooth, stabilized video whether you're shooting by hand or using a GoPro mount. One-Button control ensures you capture awesome moments, in the moment. A single press of the shutter button powers on your HERO and starts recording automatically. The GoPro Hero is waterproof (up to depths of 10m), letting it capture exciting shots or footage even when underwater. 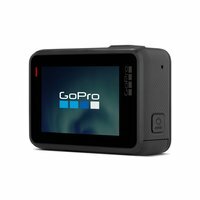 Featuring 1080p/1440p video recording and 10MP photos, the GoPro Hero camera can capture plenty of details with each picture or movie. 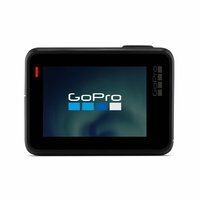 Equipped with a 2-inch touch screen, this GoPro camera lets you frame the ideal shot, review footage, and switch between modes quickly. 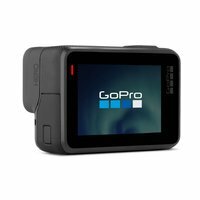 Compatible with the GoPro app*, the camera can automatically offload media to your paired mobile device (via Wi-Fi/Bluetooth). 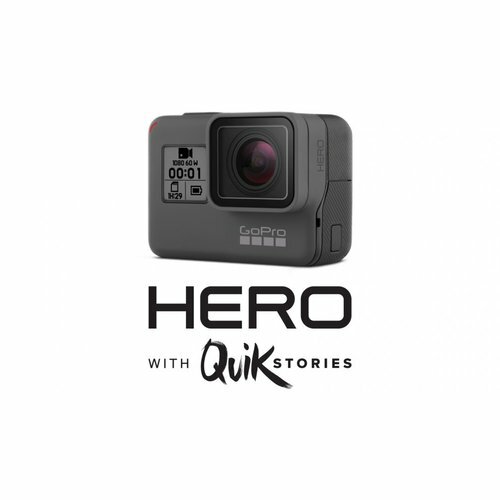 The Hero camera has QuikStories enabled**, letting it send footage to your connected mobile device through the GoPro app and edit your video with creative music and effects. 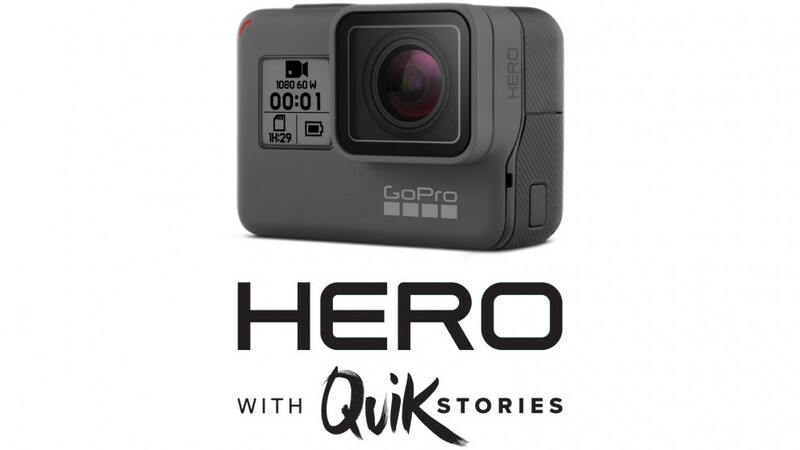 **Requires the GoPro and Quik apps, available free for iOS and Android.